The Gold Coast SUNS will have five Academy members represented in the initial squad of the NAB AFL National Academy Allies for 2019. The squad consists of 30 of the best young footballers in the nation from Queensland, NSW/ACT, Tasmania and Northern Territory. 20 of the squad members are top-agers; being draft eligible for 2019, while the remaining ten are bottom-agers who can be drafted in 2020 and beyond. Connor Budarick, Ashton Crossley, Hewago Paul-Oea, Alex Davies and Jack Johnston are the SUNS Academy members who have been selected, with Budarick and Paul-Oea having previously been a part of the same Academy as bottom-agers this year. The five players will be given the opportunity to train with the SUNS for at least a week during pre-season before taking part in the Academy’s high-performance camp in Canberra in January. The team will be coached by former Brisbane Lions triple-premiership player Luke Power and compete as the Allies in the Under 18 National Championships next year. A further 20 players will be added to the program next May based on form and fitness to play in practice matches against Vic Country and Vic Metro before the Allies squad is announced. 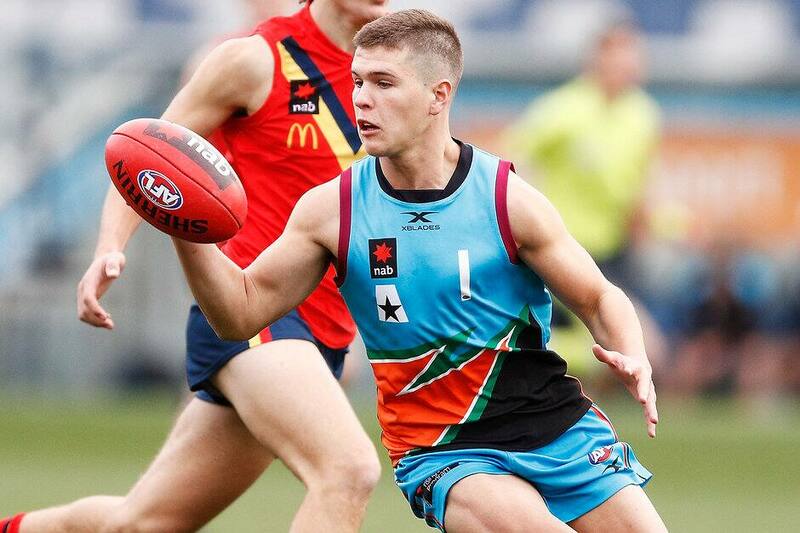 Gold Coast SUNS Academy Manager Jason Torney said it would be a fantastic opportunity for the boys to bolster their footballing credentials ahead of their draft year. “These boys have shown over the past few years that they can play at an elite level, but this Academy will give them the opportunity to develop further as they strive to become AFL footballers,” Torney said. “They’ll get to play against some of the best 18-year-olds in the country which will be a great challenge, but something they need exposure to if they want to take the next step. 2019 will be the first year of the new state-based Academy system after it was open to every state in previous years.